"Would You Like To Make Your Own Special Face Mask? One that not only cools your face immediately, but is also Aimed right at the Wrinkles?" that you can do right there in your own kitchen. Having beautiful skin in ancient Egypt was something that people strived for, actually in some context it was more important back then. Nefertiti was known as one of the most beautiful women of her time, and even today some consider her to be the ages most beautiful woman, based off course on her famous bust. There is no doubt that a royal person would give their body different kind of treatments. One thing that people today might not know about, is the ancient ritual baths in the sacred lake at karnak or Dendera. The priests (most likely also the priestess, maybe just at different times) would go into the sacred lake and shave of all of their hair, this was a ritual for the connection between the priests and their gods. "I will admit some of their ritual creams and potions consist of some rather obscure things, which I won't mention, because they only serve in their ritual context, and has nothing to do with actually keeping the skin healthy". In this little article I will give you a very simple face mask recipe, that is aimed at wrinkles. 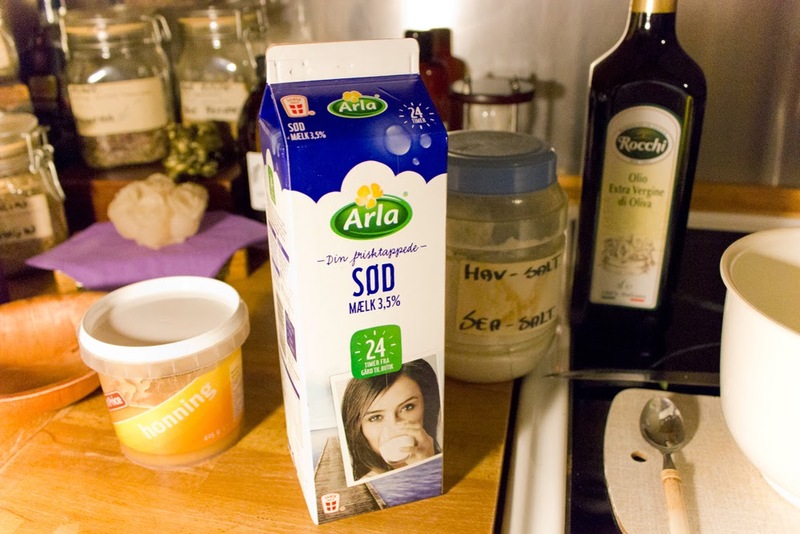 Making your own facial mask is really simple, like following a dinner recipe. 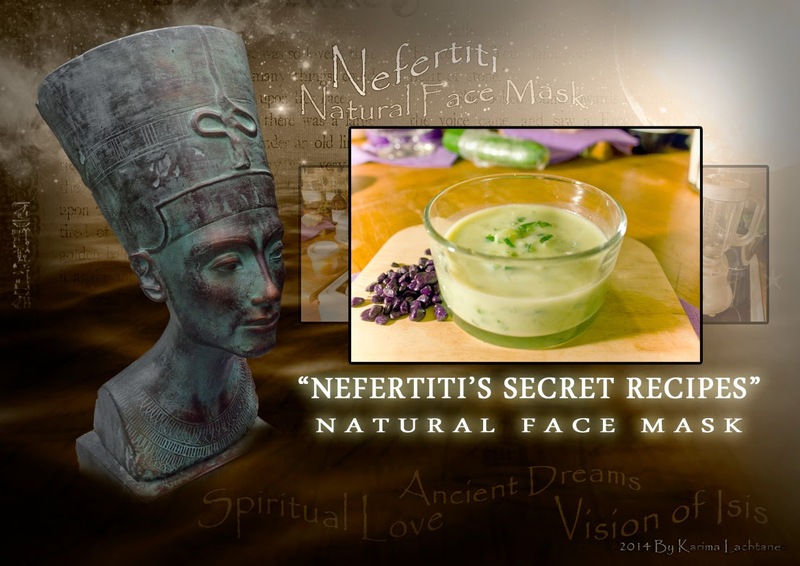 I added these extra ingredients to make the mask a tiny bit thinker, but it is not suppose to be a thick cream mask, because we are only using natural ingredients, and cucumber holds a lot of water by itself, and when adding fluid whole milk, this will make it very thin, but none the less very useful. I will also add some good tips at the end, a cure for big puffy morning eyes. WARNING!! If you are allergies to one of these products, then you should NOT make it, for your own safety. 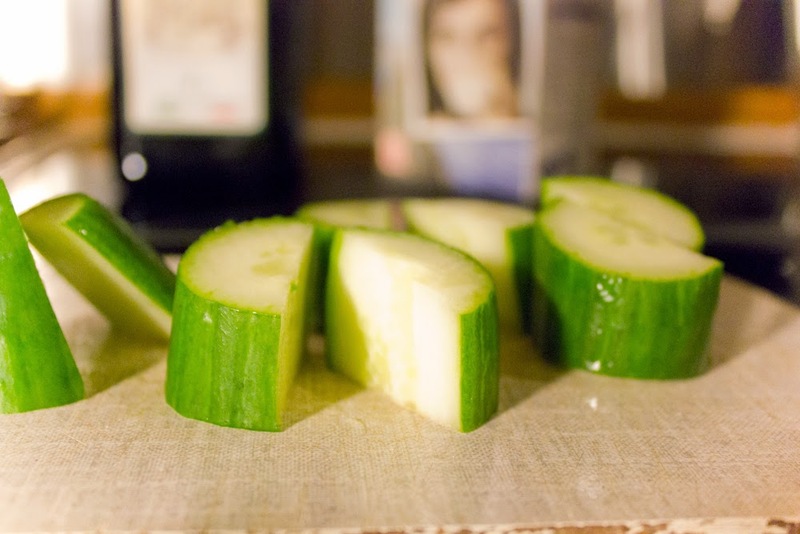 Cucumber: is excellent for removing those darn dark circles, but it can also reduce the puffiness. But that is not all, it is also excellent for evening out ones skin tone, creating a more perfect complexion. Cucumbers will also tighten up those pores. There are many advantages to using cucumber. This delicious thing is also packed with vitamins that your skin craves for, so there are many reasons to consider a facial mask which includes this lovely item. Honey: Well honey doesn't actually contain that much vitamins, but interestingly we all know its healing effect on our bodies. Honey is more sugar based and it is the sugar that helps our body to absorb its few but very healthy vitamins. Olive Oil: Is packed with vitamin A and E, and other all good vitamins. Normally people use Olive oil in their food, but since the days of ancient Egypt it has also been used as an ingredient to healthy skin. It also promotes the elasticity in the skin. Sea Salt: When you really think about it, it becomes obvious that salt probably has some good ingredient, and the different salts can serve different means. Just think about it?, why do people travel to the Dead Sea just for health reasons, mainly for the salt. Note to all you can actually buy Dead sea Salt over the internet, so there is no need for expensive flight tickets or hotel rooms. Firstly Sea Salt is the perfect exfoliator for every skin type, it strips off all the dead skin cells immediately. Salt is also natures very own detoxifier, this means it absorbs the oil and moist in your skin. Xantham Gum: This is a white powder that acts as a thickner in creams. 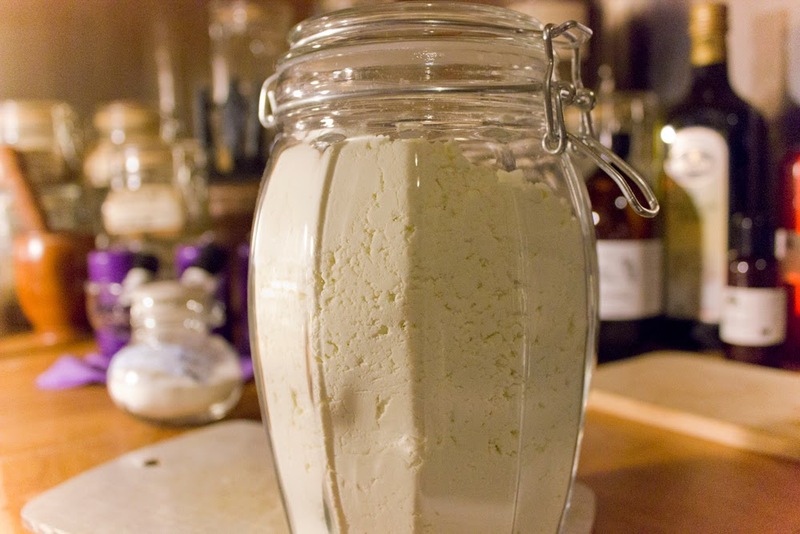 Not needed but good to have if you are interested in making your own creams. 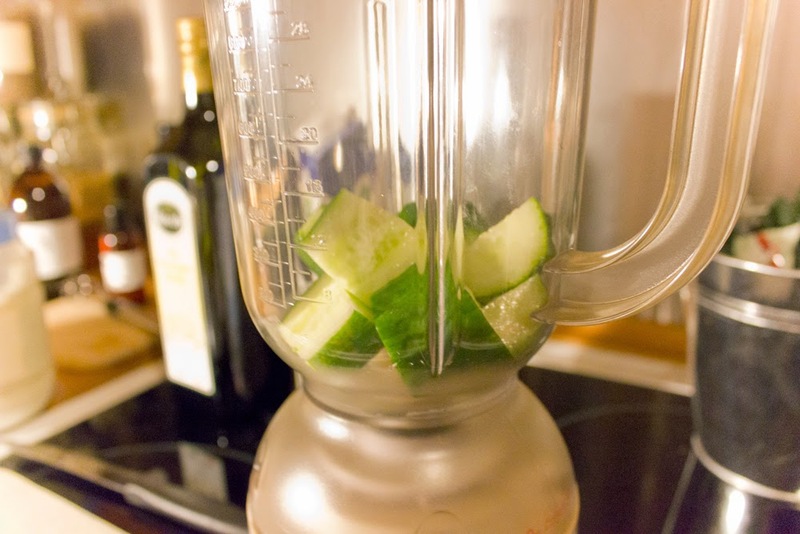 The first thing that you need to do is to cut the cucumber into big pieces if you are using a blender. If you are using a whisk, then I suggest making them much smaller. 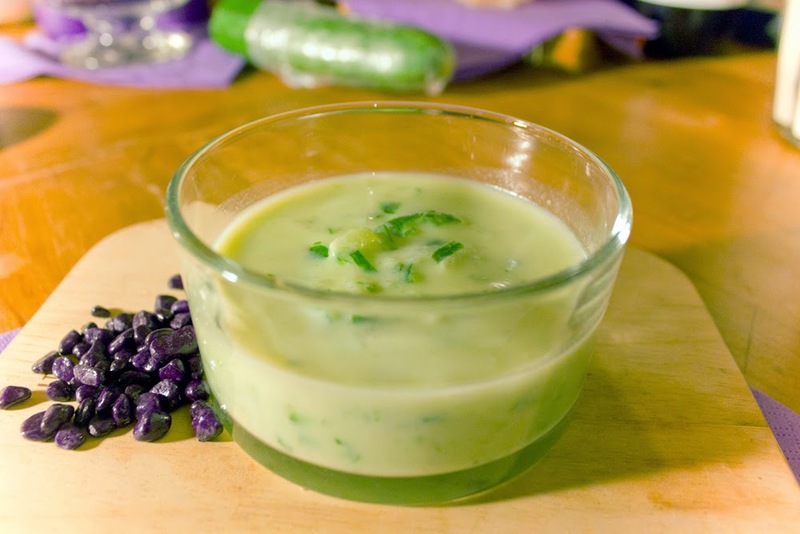 While you whisk or blend the cucumber, some a dash of whole milk into the cucumber. 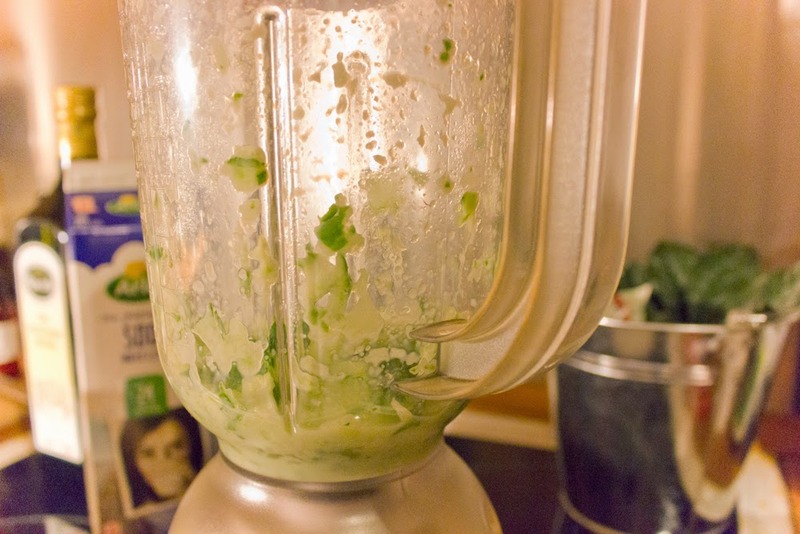 Keep blending/whisking until you are happy with the sizes of the cucumbers (mix them out as much as you possible can). Pour the cucumber with the milk into the bowl of your choice. Then add the Olive Oil and Sea Salt and the Honey, again you mix it with your whisk. 2). put the cream upon your face, it can run, but just dash those drops away. 3). let the substance sit for 15 min - you will begin to feel it pulling a little bit, and it has a cooling effect. 6). feel your skin, how does it feel? Here is a little solid tip for you, if you take the liquid from the cucumber mixture that you have just made, and pour the greenish liquid into a ice cube contain and put it in the freezer the night over, you have you very own cure for puffy eyes in the morning. Simply take a ice cube, cover it with a thin towel, and place it for 5 min upon each eye, this will reduce the puffiness and redness. How To Get Amazing Skin. It will be filled with exceptional tips and advice as well as recipies that you can make in your own kitchen.